Manlio Fabio Beltrones has dropped out of the PRI primary, clearing the way for Enrique Peña Nieto’s candidacy. The news comes two weeks after the PRD united behind Andrés Manuel López Obrador on November 16th. The PAN is now the only major party yet to select its candidate, although Josefina Vázquez Mota has emerged as the frontrunner. 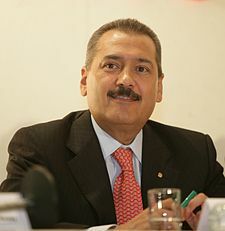 Mexican Senator Manlio Fabio Beltrones withdrew from the contest for the PRI nomination on November 21st, clearing the way for the long-favored Enrique Peña Nieto. 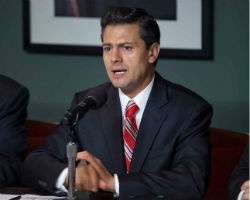 The frontrunner and former governor of the State of Mexico formally registered his candidacy on November 21st. He told supporters: “Today in Mexico there is fear, but better times are coming.” (Hear more of his remarks in the video of his November 14th conference at the Mexico Institute). A new Buendía y Laredo poll places him at 20 to 33 percent ahead of his nearest contender, depending on who the PAN ultimately nominates. 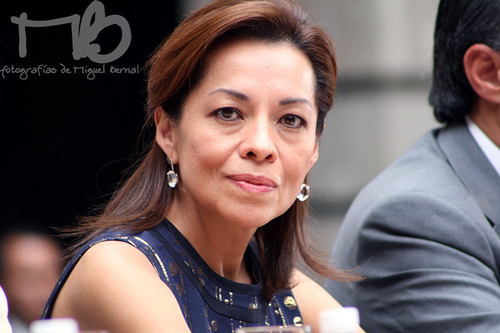 According to the poll, the closest race would be with Josefina Vázquez Mota (PAN). Three candidates remain for the PAN nomination, with former education minister and Congresswoman Josefina Vázquez Mota ahead in the polls. The November Buendía and Laredo poll reflects her comfortable advantage over her competitors: voters favor her over former Senator Santiago Creel by 10 percentage points and over former Finance Minister Ernesto Cordero by 21 percent. Among panistas, she leads Creel by 18 percent and Cordero by 38 percent. The party will select its candidate in a closed election by February 15th, 2011. 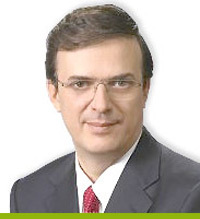 Marcelo Ebrard, the mayor of Mexico City, attributed part of Andrés Manuel López Obrador’s victory in the party’s internal poll to his six-year “campaign” waged after he refused to accept the official results of the 2006 presidential election. Ebrard emphasized, however, that he will support his former competitor in the election. This entry was posted on Monday, November 28th, 2011 at 9:37 pm and is filed under Analysis of Key Moments, The Week in Review. You can follow any responses to this entry through the RSS 2.0 feed. You can leave a response, or trackback from your own site.